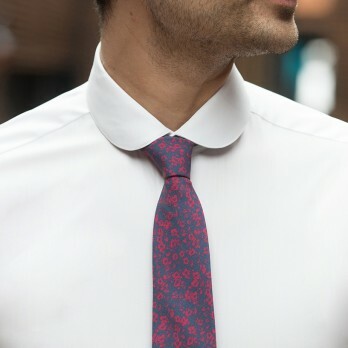 Several options are available for you to wear a bow tie: club collar shirt, small collar shirt, shark collar shirt or wing collar shirts for ceremonies. 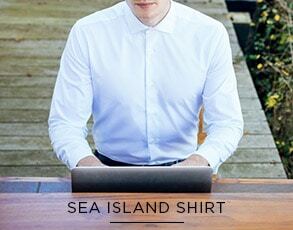 You can also find several fabrics that will please you such as Oxford or Poplin. 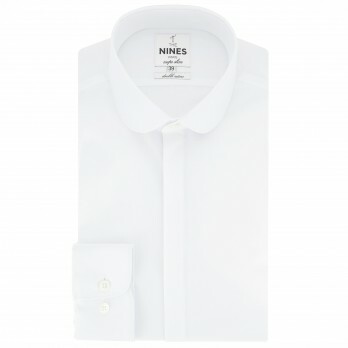 How to choose the right bow tie shirt? First, choose whether you prefer a knitted bow tie or pre-tied bow ties. The self-tie bow tie requires learning, which you can discover through our tutorial on how to tie a bow tie. When well knotted, its natural shape combined with a certain imprecision will give an original and elegant look. The pre-tied bow tie is straight and easy to attach. 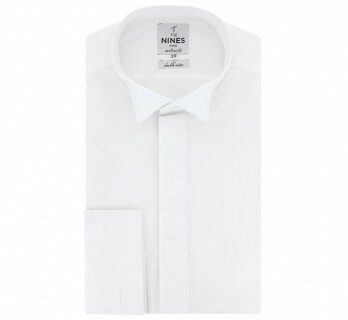 Simply pass it under the collar of your bow tie shirt and adjust its size around your neck. 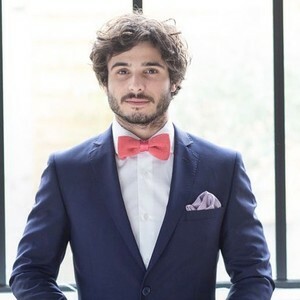 The bow tie is available in different materials: in cotton and linen for high temperatures, in flannel in winter but also in silk grenadine, satin or woven silk. In a formal context, the silk bow tie is required. Nevertheless, if it is a wedding, don't hesitate to think outside the box and find the best way to match your wedding bow tie to your outfit according to the theme, colours or location! If you are attending a more convivial event, don't hesitate to break the codes for a guaranteed original effect: add colour and patterns to your bow tie (a Liberty bow tie for example), choose a pair of patterned socks and a chino ! 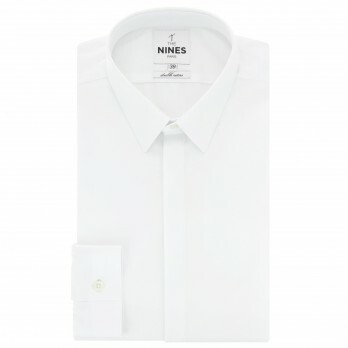 The Nines offers you a wide choice of bow tie shirts. Choose a bow tie that is darker than your shirt to highlight it. 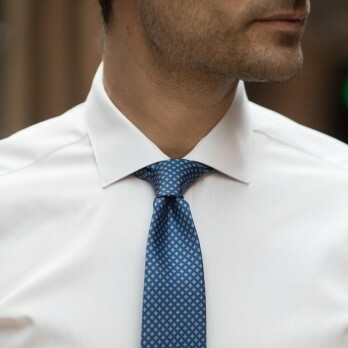 You can also wear a patterned bow tie on a plain bow tie shirt to add an extra touch of originality. Several types of collars and materials are available to you. For a formal event, you can wear your pre-tied bow tie with an shark collar shirt or a French collar shirt if you don't want to take any risks. These two collars are indeed rather classic and sober. 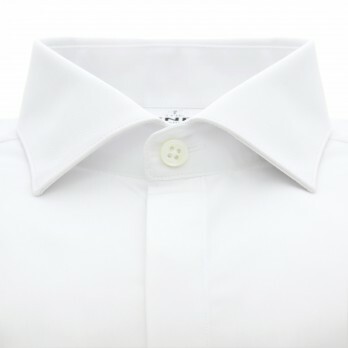 For an official ceremony and impeccable elegance, pull out all the stops and tie your bow tie on a broken collar shirt. 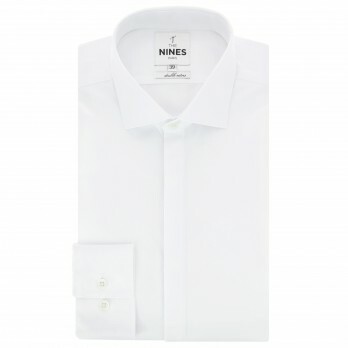 Poplin is the fabric to choose, it is the opportunity to wear your most beautiful pairs of cufflinks. 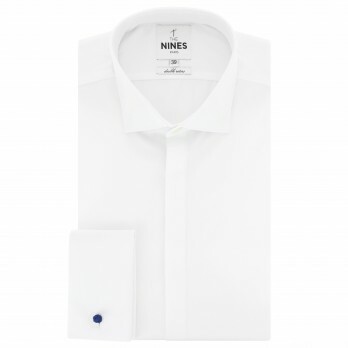 For a more casual look, you can opt for an oxford shirt or a denim shirt to tie your bow tie. 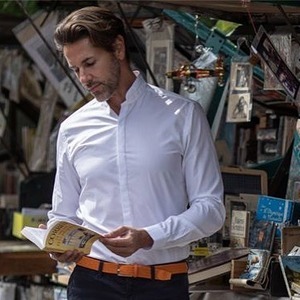 Finally, a simple cuff shirt with visible buttons will be more suitable for an informal occasion: a coloured or patterned bow tie will stand out better on this type of shirt. 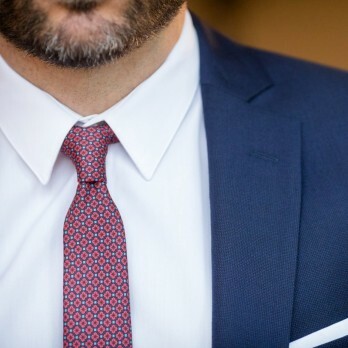 In all situations, we recommend that you choose a shirt with a hidden throat, with no visible buttonhole, to further highlight the bow tie and to purify the lines of your style.